After my bold, ballsy, and ultimately incorrect guess of the winner of Big Brother 12 (and 11) I was told by some readers they loved the predictions. I'd get asked, "Who do you think will win Project Runway?" and I'd say, "No clue!" Then reader Russ on Facebook asked who I thought could win some upcoming fall shows and I thought, "Oh yeah, I should do this!" By popular demand, I'm going to make a ballsy prediction for who will win Survivor: Nicaragua, starting Wednesday September 15 at 8PM on CBS (that's tomorrow and a new night). The promos have already revealed that this season it will be old (40+) vs. young (under 30), which makes the prediction process so much harder than a random jumbled tribe. Plus, the 30-39 range is the ideal age for a Survivor winner so having them not in the mix really kills my guessing. With Big Brother, I've gone with a gut feeling but this time I had to do some actual thinking. I read their bios, watched their videos, and got into their psyche (that part is a lie). Right off the bat, I'm nixing Jimmy Johnson, the former NFL coach. It's hard, but I'm going to make a quasi-educated guess. This pick could really bite me in the behind. Chase comes off as a nice guy, and sometimes nice guys go out early. However, I see him being nice enough to be kept around and strong enough to be needed on a tribe. His video makes him seem a little wiser/older than his age (and a lot of the young guys seem like douches), so we'll see if he can outwit, outplay, outlast. 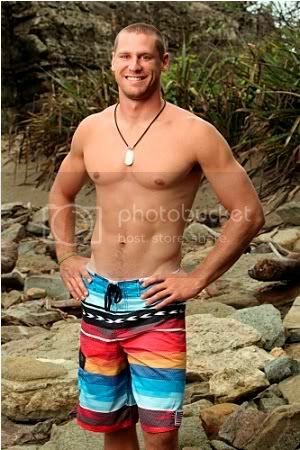 The only other person I was really on the fence about for the winner pick is Tyrone, who (as he points out) is hopefully young enough to get along with the other tribe, but also a fireman so strong and has survival skills. NaOnka is another that charmed me in her video, but I don't know if she could win it all. Now I say/hope Chase wins the whole thing for my ego, but if they're going to lose, please go out week 3 to keep up my streak of loser picks. Who do you think will win Survivor: Nicaragua? Leave your prediction in the comments. Get it right and you'll get a shout-out at the end of the season. My pick, as I said on Facebook, is Chase. And I did make it prior to seeing your pick. In fact, I intentionally avoided seeing your pick as to not cloud my judgement. Chase seems like a popular pick all around. What's funny is based on name alone I thought Benry would rule- until I watched his interview. I think a lot of the younger guys were recruits because they come off as Hollywood-wannabe douches.